After a multi-million pound refurbishment the former Whitely Ridge Hotel in the heart of the New Forest National Park, just outside the village of Brockenhurst, has been transformed into The Pig, an entrancing rustic country style hotel and restaurant. 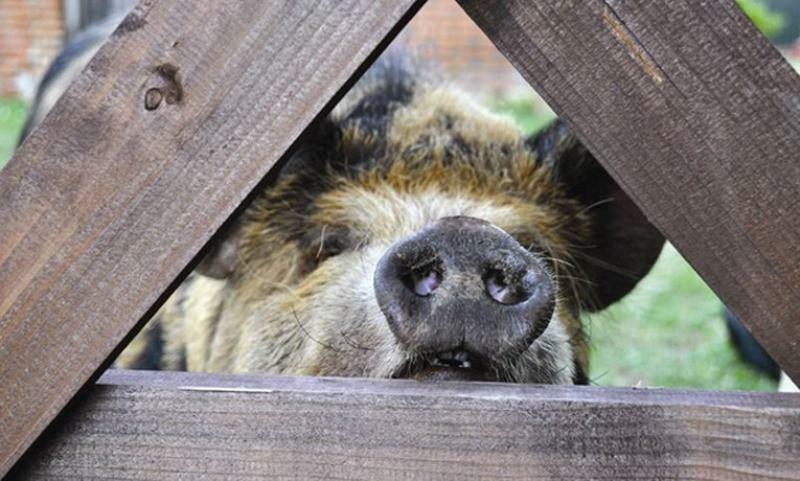 The Pig is part of the successful Lime Wood group, which has Robin Hutson, former Soho House director and founder of the renowned Hotel du Vin chain as its Chairman. 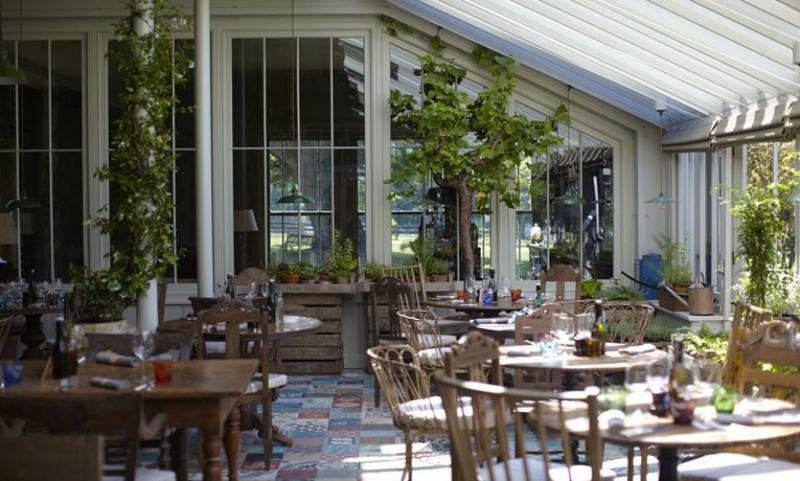 The restaurant has been designed to replica a Victorian greenhouse dining room, complete with bare wood table tops and mismatched bone handled cutlery, surrounded by lots of greenery. Heading the kitchen is the highly accomplished James Golding who learned his craft in stellar kitchens such as Mark Hix, The Ivy, Caprice, Sheekys and Soho House in New York. 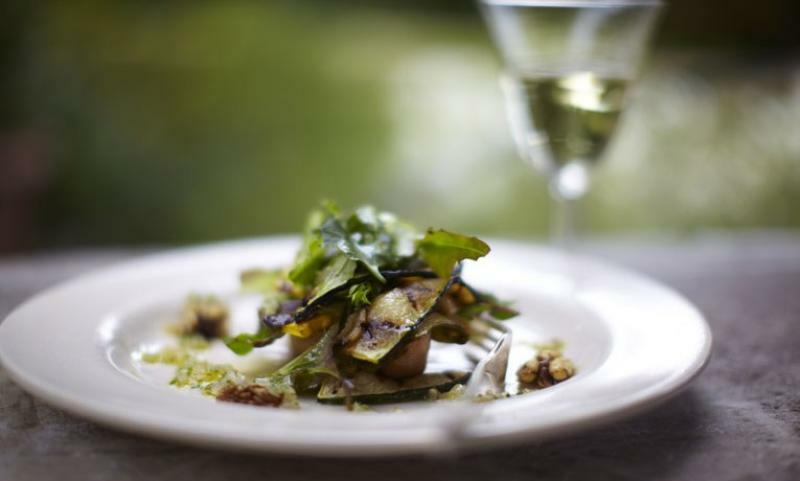 Golding's two key members of his staff are his forager and his kitchen gardener, for the majority of the ingredients for his menu comes from the restaurant's walled garden. Menus could change by the minute depending upon what the forager finds or what the kitchen gardener regards as tip-top condition. 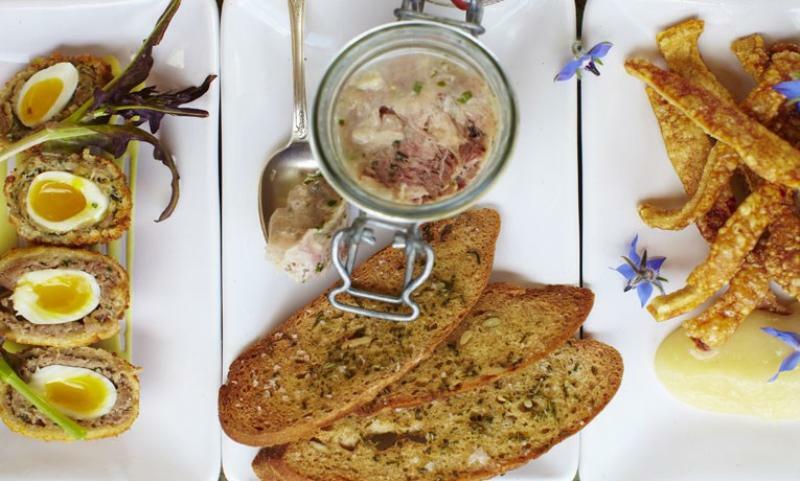 Given the name of the restaurant, it's no surprise to find piggy bits on the menu such as saddleback scratchings and apple sauce and Mr Bartlett's 'Karma' Ham. Among the starters choose home smoked salmon with apple and beetroot salad or Tatchbury Farm black pudding with duck egg and salad and Coleman's mustard dressing. Mains follow on with grilled Pennington Farm sirloin steak, garden salad, tobacco onions and Bérnaise sauce or mussels, creamed fennel and crispy lava weed. Tempting desserts close the show with a gooseberry and elderflower tartlet served with New Forest honey clotted cream or lemon verbena burnt cream with fresh garden raspberries. During the summer months you can dine in their courtyard where they have a wood fired oven for flat breads, and you may even enjoy the company of their house pet pigs who can't resist the smell of the bread!